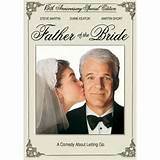 Brief Synopsis – A father explains the difficult stages of orchestrating and arranging a wedding for his daughter. My Take on it – I am usually a big advocate against movie remakes, but this is one of those few movies that did it right. The original movie was completely a drama with a few humorous lines and situations thrown in for some laughs. This movie decided to completely turn that around and make a comedy with some serious and heartwarming scenes thrown in to the mix. The choice of Steve Martin as the father and Diane Keaton as the mother were great choices since the two work so well together as a team. This movie was properly updated for the 90’s and even 24 years later it still feels relevant. Bottom Line – One of the better movie remakes. Smart move to make this an outright comedy with Steve Martin giving an excellent performance. Recommended! This was a great movie! The quote you chose was one of my favorites from the movie.